Obituary for Annie Bell "Mrs. Klunk" Stevens | Jones Clark Funeral Home, Inc.
Mrs. Annie Bell “Mrs. Klunk” Stevens, age 96, passed from this life on Wednesday, January 30, 2019 at approximately 3:35 p.m. at her residence in Lima surrounded by her loved ones. 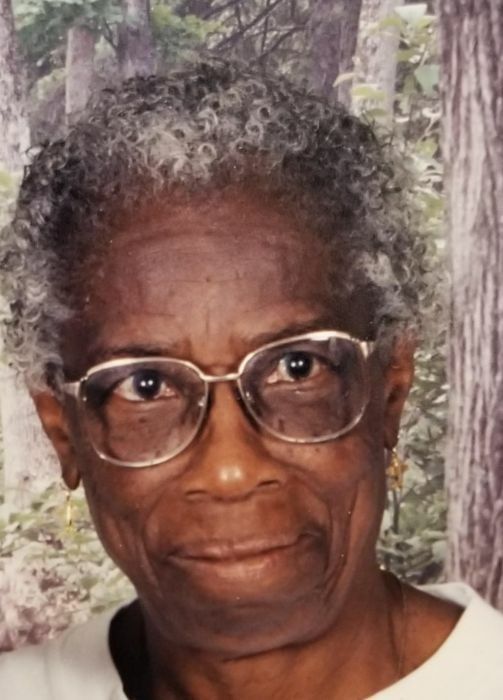 She was born on March 25, 1922 in Lexington, Mississippi to the union John and Elvira (Tiggs) Brown, Sr.; both parents preceded her in death. She was united in holy matrimony to Mr. Henry Stevens who preceded her in death. Mrs. Stevens formerly worked at Gregg’s Retail. She was a member of Eleventh Street Missionary Baptist Church. She loved to cook, garden and she also loved doing hair. She leaves to cherish her precious memory a daughter; Mamie Stapleton of Lima. 8 grandchildren. Vanessa Byrd, Corlisa Tyson, Nichele Alberty, Kevin Stevens, Twila Clemons, Shawn Petty, Henry Ellis and Yushanna Wright. 40 great grandchildren and a host of great-great grandchildren. A host of nieces, nephews, other relatives and friends. She was preceded in death by 2 daughters; Christine Petty and Flora Mae Ellis. 3 grandchildren. 7 brothers; Will Brown, John Brown, Jr., Alonzo Brown, J.C. Brown, Mark Brown, Arthur Brown and Sam Brown. 4 sisters; Thelma Brown, Pauline Ellis, Virginia McClellan and Tennie Brown. Home going services will be held on Wednesday, February 6, 2019 at 12:00 noon at Eleventh Street Missionary Baptist Church with Rev. Robert Toney, officiating. Visitation/Wake will be held on Wednesday, February 6, 2019 at 10:00 a.m. until time of services also at the church.